We are often asked by our clients after rafting the Zambezi, ‘what next?’ With it’s big warm water, gorgeous beaches and excellent wildlife, what could possibly match it? Here are our (and our guests) favourite follow on rivers to the Mighty Zambezi. The Brahmaputra River, India. This river offers a real expedition feel. The Great River as it is referred to in India, originates in Tibet where it is named the Tsangpo. You’ll explore a remote unique region in India famed for its assam tea and stunning wilderness. Challenge rapids such as Ningguing and Pulsating Pulsi on our first day on the river! The Brahmaputra river offers a vast array or Class IV and V rapids and is a must do for big water enthusiasts. 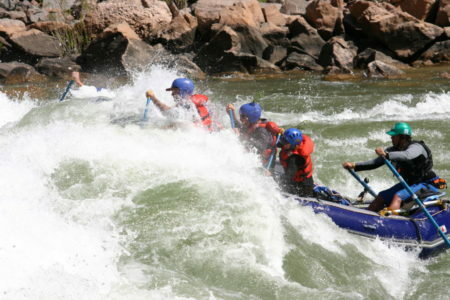 This river is 7 times the volume of the Zambezi, so expect 25-40 foot waves on this superb trip. Operates in November. The Tamur River, Nepal: A world class adventure in the heart of the Himalayas. Far more than a river trip, the Tamur offers a gorgeous 4 day hike into the river, along a beautiful ridgeline littered with rhododendron forests and fascinating villages. View the beautiful Makalu and Kanchenjunga along with numerous other Himalayan peaks on the hike in. 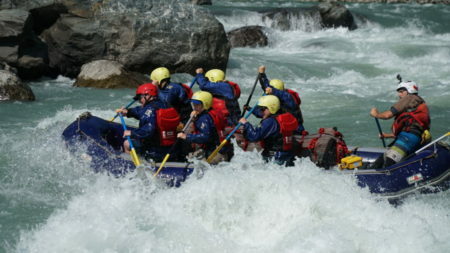 Once at the river, expect a fabulous set of rapids totaling 140 rapids in 120 kilometres. You’ll camp on deserted beaches basking in the warm temperatures we get on the river. Operates in April, October and November. Running Hermit on the Colorado River, Grand Canyon. 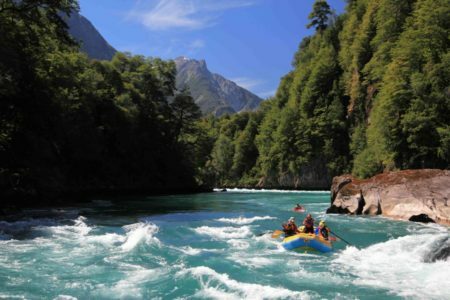 Rio Futaleufu, Chile: This trip offers the perfect break from winter in the Northern Hemisphere. 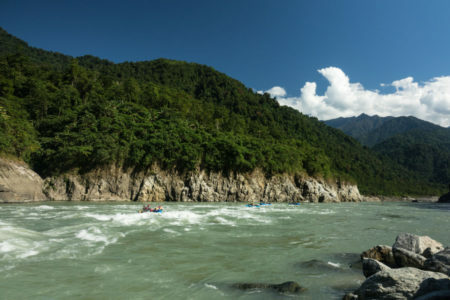 Crystal clear water, plunging through gorgeous rain forest clad hillsides with mountains towering above you, the Futa offers incredible whitewater such as Terminator, The Miracle Mile, Inferno Canyon, The Himalayas and Mundaca to name just a few. You’ll be based at our stunning base camp where you get to explore different sections of the river each day, returning each night to a hot shower, drinks from the bar and a soak in the hot tub. Yes, roughing it, this is not! Prime season is from December – March. The Mighty Zambezi, Zambia. Well, lets face it, who wouldn’t want to go back to this incredible river! 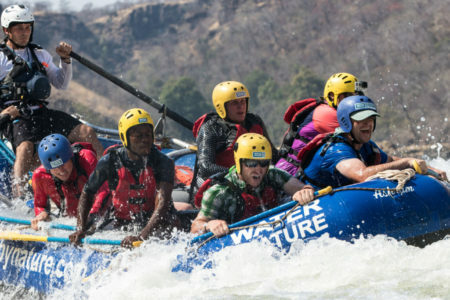 Either take in our Zambezi Blast trip with 4 days rafting, helicopter flight and a stunning luxury safari in Botswana, or on our Ultimate Adventure trip, choose your own activities for 2 days including walking with cheetahs and lions to swimming in the Devils Pool above the Victoria Falls. For those wanting more river time, explore the full river, before the dam planned for construction begins, on our Mighty Zambezi trip on this 120 km journey. Ideal time for the Zambezi, is late July until November. The Zambezi river is ALWAYS 100% fun. We all love big water! It puts a real smile on your face, no matter whether you are an avid rafter or you are yet to embark on your first trip. If you enjoy these trips half as much as we do, you are about to have a trip of a lifetime! Bring on the big water fun!